More than 2000 talented young athletes from across the UK will benefit from a £1,200,000 fund – thanks to charitable social enterprise GLL. The athletes will be supported through the GLL Sport Foundation (GSF) the largest independent athlete talent programme in the UK, in partnership with SportsAid, Mary Peters Trust, local councils and public organisations. With the Rio Olympics and Paralympics on the horizon, many of the GSF supported athletes will use their awards to assist preparation in the lead up to the Games. GSF awards provide a range of elements including funding for training camps, to sport science and physio support. Following on from 59 supported athletes competing at London 2012, there are 30 athletes focused on qualification to Rio 2016 and due to the number of young athletes supported, significantly more are focussed on the 2020 and 2024 Games. The athlete awards cover more than 100 Olympic, Paralympic, Deaflympic and Special Olympic sporting disciplines. Most of the funding is designed to help young developing talent and 75% of awards are to athletes aged under 21. These are difficult ages for young athletes, when very little funding is available but the costs of competition and training are high. Indeed 90% of GSF award recipients receive no other sport funding. GSF Patron and former Olympic champion Sally Gunnell explained the core role the Foundation takes in supporting the next generation of athletes and thus ensuring a sporting legacy is in place not just for Rio but for future generations: “It is vitally important that we inspire young people to excel in sport and harness their talent towards future Games”. GSF ambassador and London 2012 GB taekwondo bronze medallist Lutalo Muhammad underlined how GSF helps athletes such as him along their sporting journey. He said: “GLL is a fantastic organisation paving the way for ordinary young people like myself to compete at the highest level. When I first started to compete internationally GLL was my only source of funding and I can sincerely say without GLL I would not of transitioned from a skinny kid that loved sport – to an Olympic medallist. I’ll never forget the help I received”. 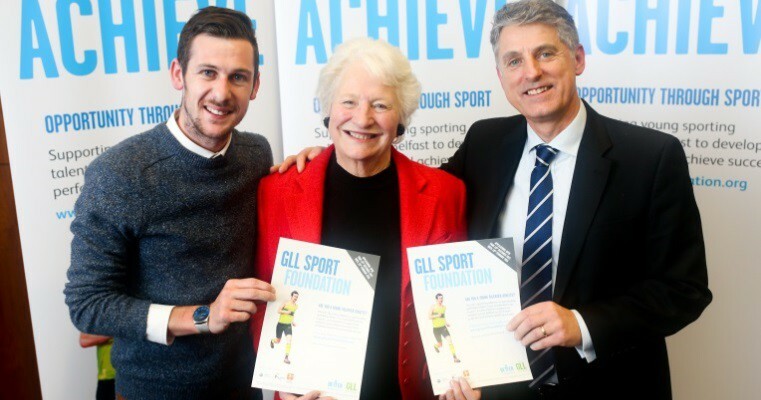 “I am now focussed on Rio and I am proud to be a GLL Sport Foundation ambassador now and into the future”. Additionally, supported athlete focussed on Rio is Belfast ambassador Michael McKillop, 3 time Paralympic gold medallist in middle distance athletics. He said: “GLL has given me the chance to be the Belfast ambassador. This allows me the opportunity to inspire and link with the next generation of athletes and to make them understand the importance of having a network of support around them, when it comes to competing at the highest level”. 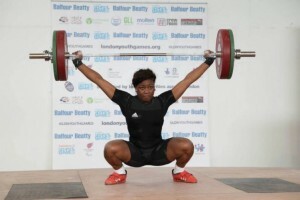 Supported athletes receive award packages that include financial grants of up to £1,250 used to fund competition expenses and sporting costs, training memberships enabling venue access across GLL and partner operated venues to supplement their core training programmes; and access to sports science, performance sport and employment opportunities all focussed towards supporting their athlete journey.